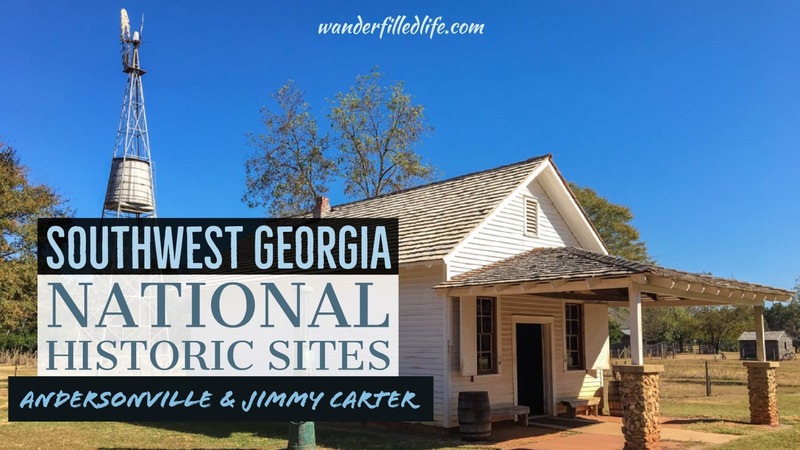 Nestled along the back roads of southwest Georgia are two very different pieces of US history: the Jimmy Carter National Historic Site and the Andersonville National Historic Site. 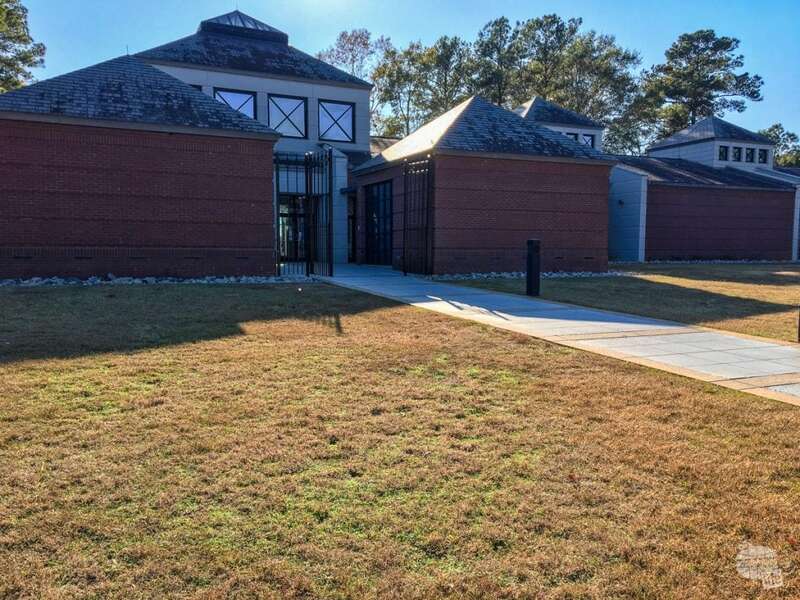 Both are located about an hour off the Interstate and are about half an hour from each other on either side of Americus. Since Bonnie’s folks live in Tallahassee, we have driven through this part of Georgia many times. Thankfully, we finally had time to stop and are glad we did! I have said it many times, but one of the truly amazing things about this country is the ability to see the sometimes humble, sometimes opulent, places our leaders come from. 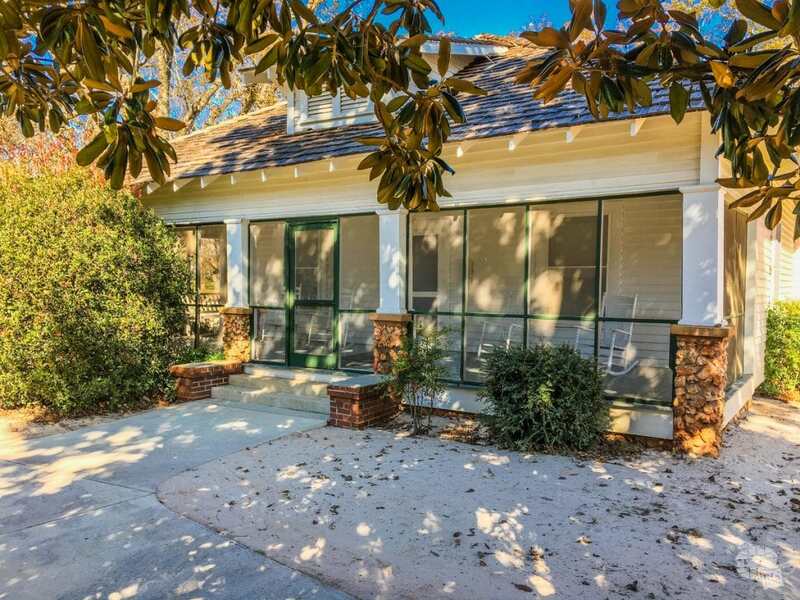 Jimmy Carter’s home in Plains, GA is no different. Carter grew up on the outskirts of town in a family of peanut farmers who also owned a feed store. Carter received an appointment to the Naval Academy, where he graduated and then served aboard submarines. 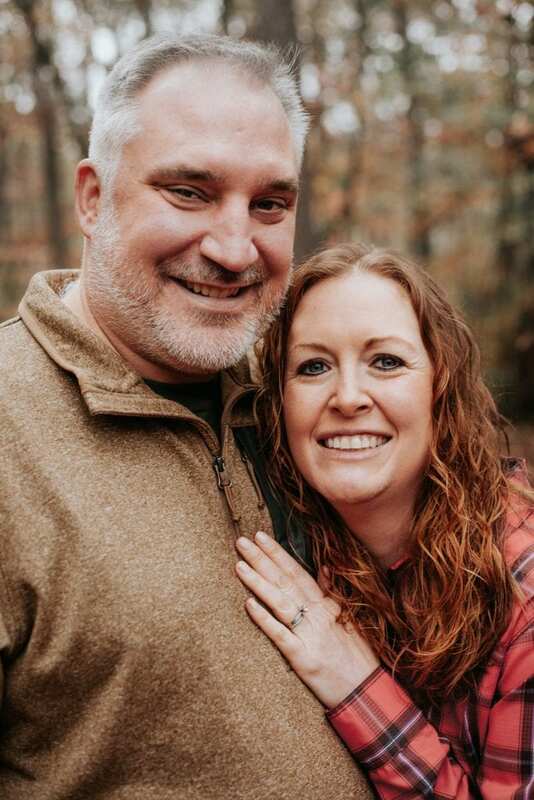 Following his father’s death, he returned to Plains, taking over the family business and eventually running for local office. 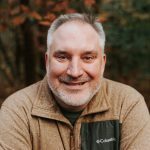 This snowballed into the state senate, the governor of Georgia and eventually into the White House. Carter grew up in this simple farmhouse. 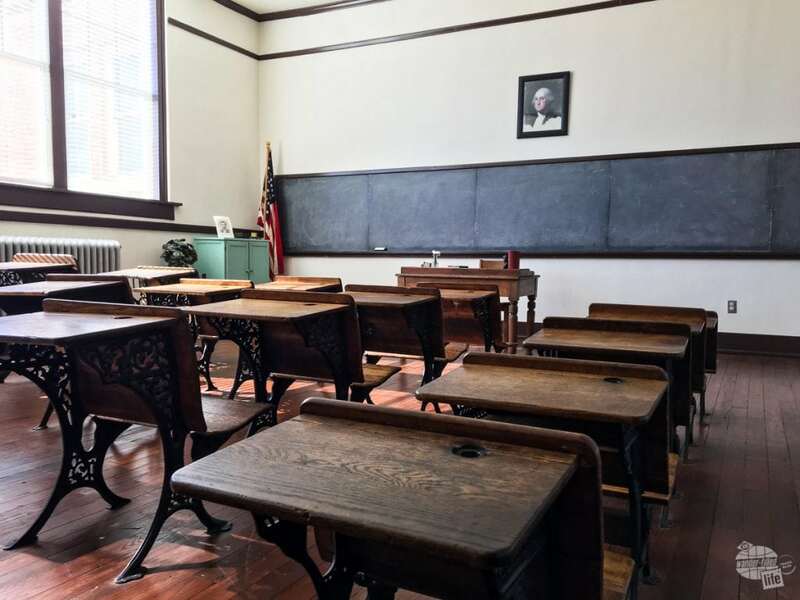 The main site of the national historic site is the old Plains High School, which serves as the visitor center and museum. As usual, I learned a lot about the Carters I didn’t know from history class, especially Rosalynn, his wife. In particular, learning about how much she did not want to return to Plains after living all over the US as a Navy wife was very interesting. Carter counted Miss Julia Coleman’s class as a favorite as she encouraged me to learn about music, art and literature. Of course, as school teachers, seeing the classroom of the Carters’ favorite teacher was a treat. It was also a great reminder of how much improvement has been made in how classrooms are put together! 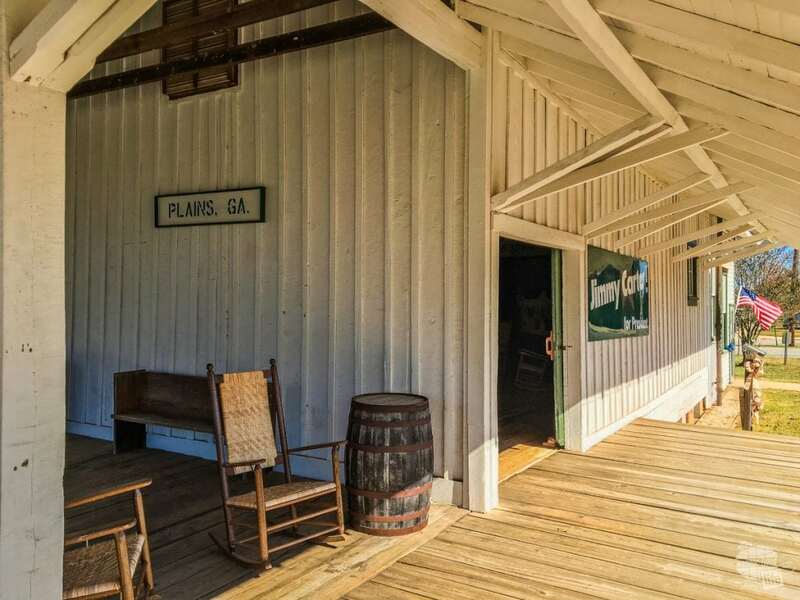 The old train depot in Plains served as Carter’s campaign headquarters on the sole basis of it having a working bathroom… Which, ironically, no longer works. After visiting the museum, we drove into town to see the old depot, where Carter ran his presidential campaign. Carter chose this building because, at the time, it was the only one in downtown with a bathroom. I’m sure the many visitors appreciated this decision! 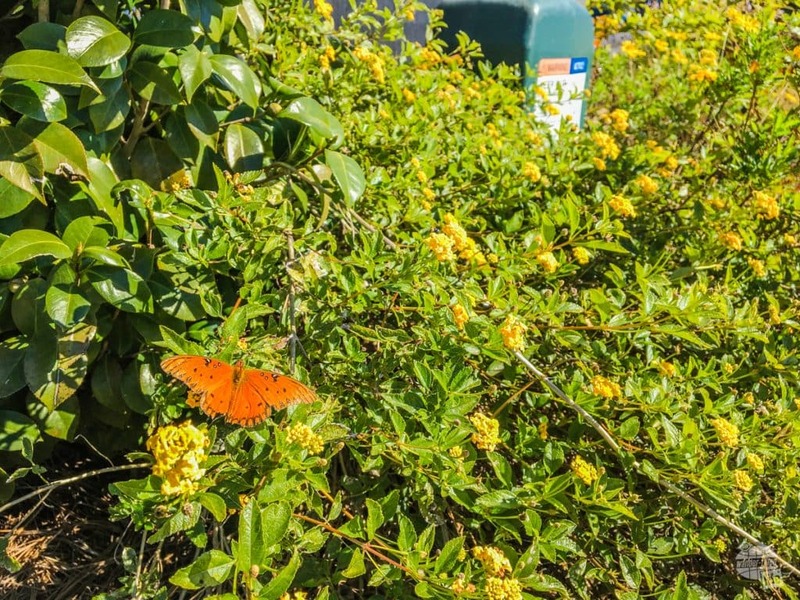 Right next to the depot, you can find the Rosalynn Carter Butterfly Trail. A quick drive out of town landed us at Carter’s boyhood home in the community of Archery, GA. 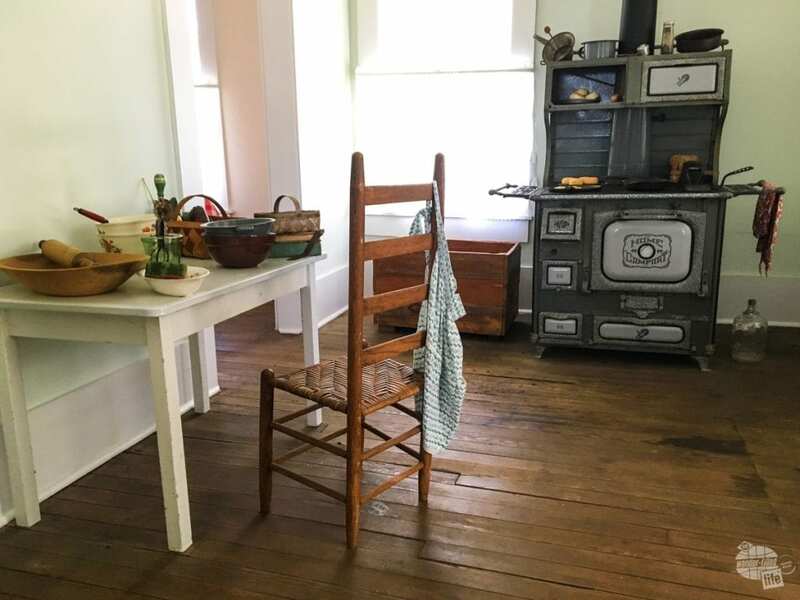 The park service restored the house and several of the farm buildings to its pre-electricity condition. It appears the park service continues to plant crops in the family garden (we visited in November). At the very least, they keep livestock at the farm. 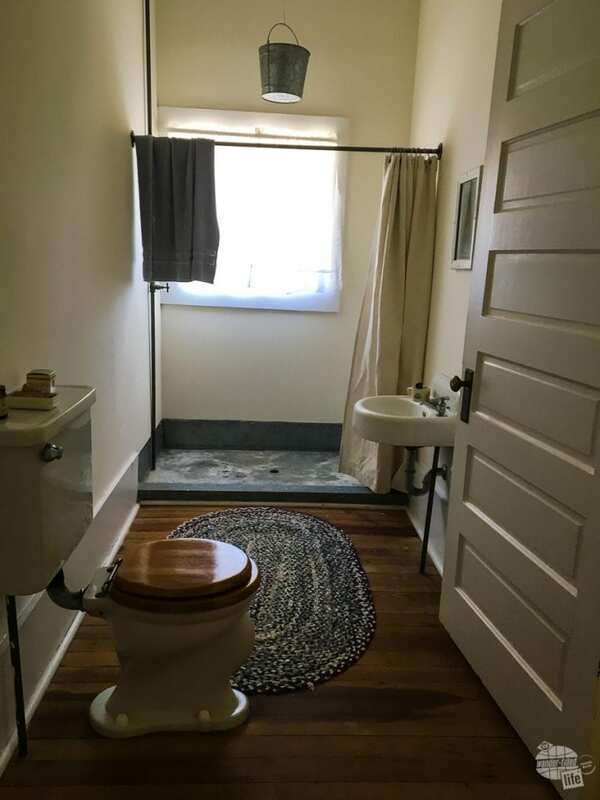 The Carter family had one bathroom with running water, including a shower. The shower was nothing more than spigot with a bucket with holes in it. No hot water! I loved the shower, which was simply a spigot with a bucket underneath, run from the water tank on the windmill. No hot water, which must have made for a brisk wake up on winter mornings. The Carters still live in Plains and you drive right by their current house on the way out to his boyhood home. You can’t tour their current compound because, well, they live there. For security reasons, the Secret Service fenced the house off. But they are very much still part of the community and the former president still teaches Sunday school. Our visit to the Jimmy Carter NHS took us about two hours and was a great stop in southwest Georgia. If you are visiting, plan ahead as Plains a very small town with limited services. 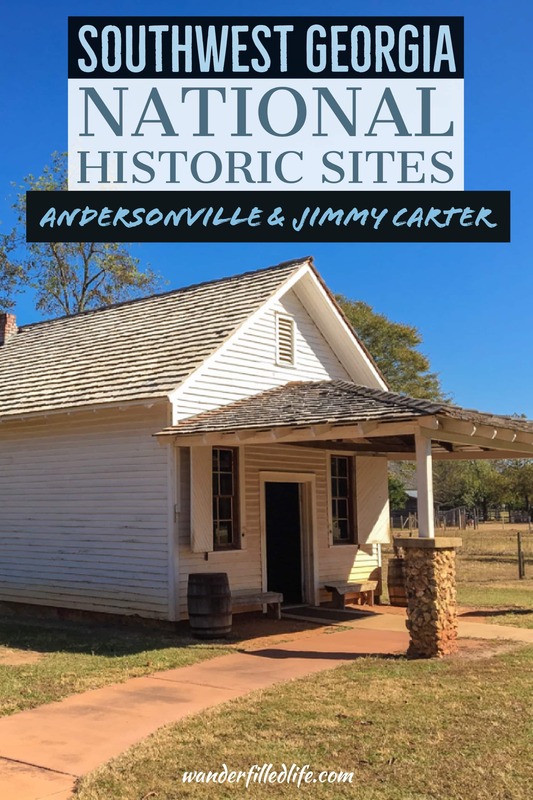 A contrast to the inspiring and uplifting Jimmy Carter NHS, nearby Andersonville was a particularly horrible prisoner of war camp used by the Confederates during the Civil War. 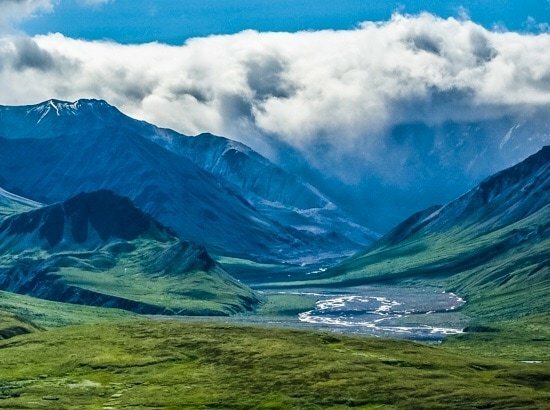 The camp itself was not much more than an open field with a muddy creek running through the middle of it. The Confederates erected a wall surrounding the field. The prisoners were on their own to erect any kind of shelter they could. The park service has rebuilt part of the wall surrounding the prison camp. The guards would man the towers overlooking the prison. anyone who crossed the wooden railing, or “Dead Line,” would be shot. Historians note the prison for being even more horrible than the other Civil War prisons, which were all horrible in their own right. Andersonville was always overcrowded, at up to four times its planned capacity, which only worsened the conditions. Of the approximately 45,000 men interred at the prison, nearly 13,000 died. There is now a national cemetery and several monuments by Union states to those from their regiments who died. 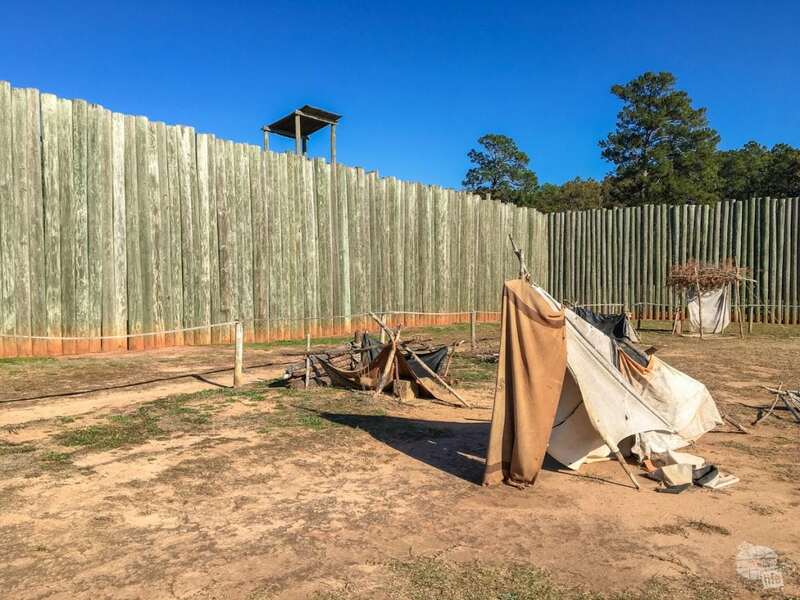 There are also reconstructed portions of the walls and shelters, along with a few cannons at the defensive fortifications surrounding the camp. What I didn’t expect to find at Andersonville was the National Prisoner of War Museum, dedicated to all of America’s prisoners of war. The National Park Service built the National Prisoner of War Museum to honor all American POWs and to demonstrate what their experiences were like. The Park Service did a great job with this museum. The architects designed the building to feel like you are entering a POW camp. As you tour the museum, you will find first-hand accounts from prisoners from many of America’s wars. 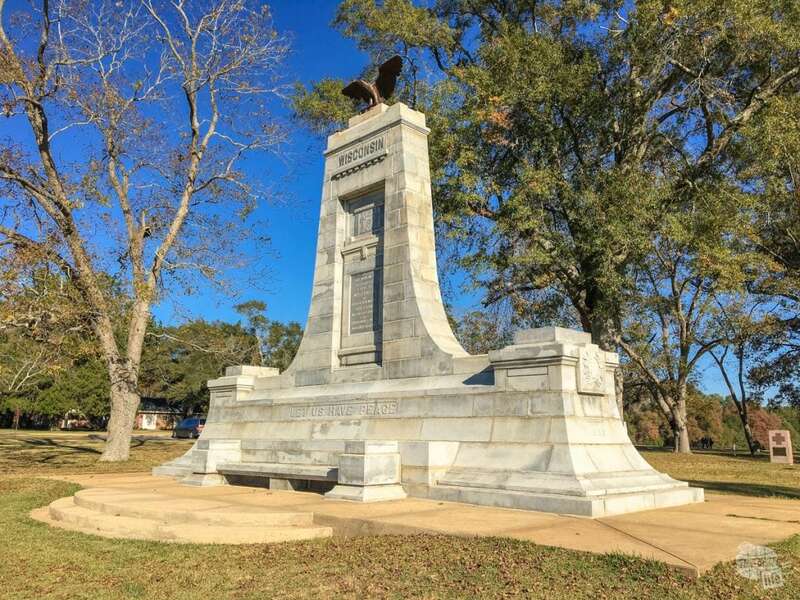 A visit to Andersonville is not uplifting, but is certainly worthwhile and moving. These stops can easily be done together as a day trip from Albany or Columbus. We did these as stops on our way from Tallahassee to Atlanta. They added a few hours to the usual five-hour drive, but the stops were nice and we learned a lot in both locations. If it’s not too much out of the way, we suggest visiting Andersonville first. Quite simply, this is so that you are ending on a more positive note. Of course, if you are traveling in the direction we were, this may not make sense. These sites are also an easy overnight stop about 45 minutes west of I-75 and would break up a long drive to or from Florida. You could also combine these sites with a visit to the sites in southern Alabama and Pensacola, FL.